While the soft sounds of the folk song, Both Sides Now performed by Judy Collins (written by Joni Mitchell) plays in the background, the Toy Story gang hold hands and seem to be in perfect harmony — until Forky comes into frame. This is the kickoff to the brand new Toy Story 4 teaser trailer (premiering in theaters alongside Ralph Breaks the Internet on November 21). Although the new teaser doesn't reveal too much from the new film (as to be expected from teasers), the footage, paired with the serious-looking teaser poster (shown below) demonstrates a deeper feeling to the film. Watch the teaser and then read more below about Forky (voiced by Tony Hale) and how we think the recent comments from Tom Hanks and Tim Allen tie in to the poster. With the recent comments from Tom Hanks and Tim Allen about how emotional the ending of Toy Story 4 is, we have a few speculations. Originally, we knew that the film was supposed to be about the journey Buzz and Woody take to find Woody's long-lost love, Bo Peep. But, with this new update being about an adventerous road trip, we're wondering how the two elements will combine — will Woody stumble across Bo Peep somehow? Of course, we won't know how the two combine until more details arrive, but let's talk more about the poster for a minute. With the voices of Buzz and Woody recently chatting about the tear-jerking emotional ending to the film, we have to assume this poster is a nod to that element. We are guessing that the emotional moment of the film may be that Woody says goodbye. Could it be? Could this be what led Tom Hanks to have his back to the Pixar crew in the vocal booth — does he literally say his final goodbye while facing away from the gang (and Tom wanted to mirror that in the vocal booth)? What are your thoughts on the new teaser trailer and speculations? Leave a comment below or chat about it with other Pixar fans in the Pixar Post Forum. 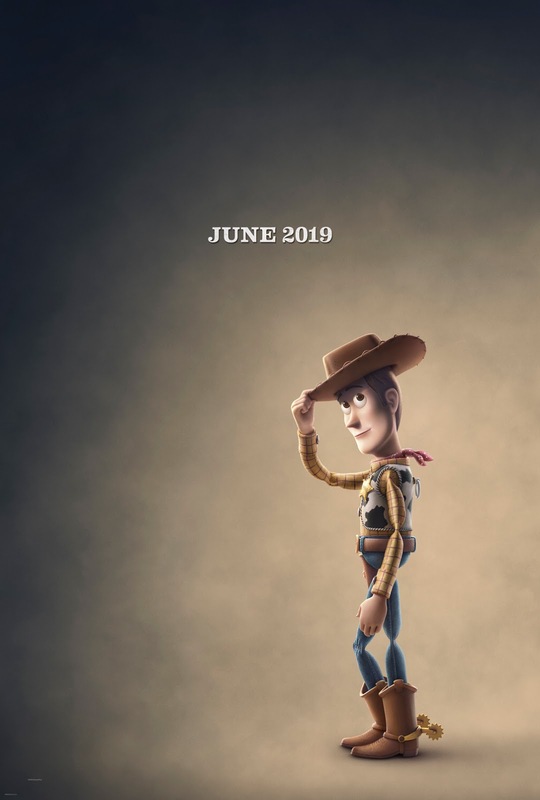 The first Toy Story 4 teaser has been released along with a serious looking teaser poster featuring Woody. Watch them here.